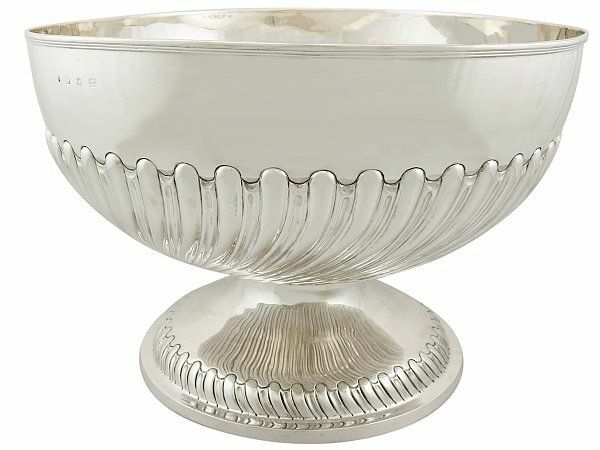 We have a fascinating variety of antique sterling silver bowls at AC Silver, ranging from grand centrepieces, samovars, jardinières and vases to bon bon dishes and sugar bowls. This large collection of silver bowls features pieces from all over the world, with bowls crafted during the Georgian era, the Victorian era and the Edwardian era, as well as some twentieth century vintage items. Our selection is comprised of exceptional examples of antique silver, all of which are the finest of their type that we have come across. These pieces are especially exciting because they would have been used for all manners activities- from consumption of food and drink to being the centrepiece of a formal dining table.